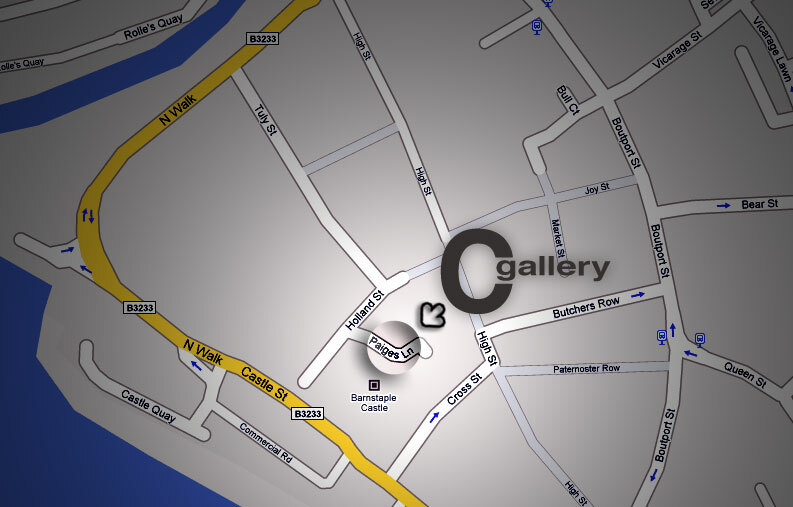 Cgallery is conveniently situated in the heart of Barnstaple town centre, in Paiges Lane at the back of Marks and Spencers. Close to Paiges Lane car park. Originally built as a barn, the premises has been through a number of lives - fabric shop, tattooists and a shoe shop. 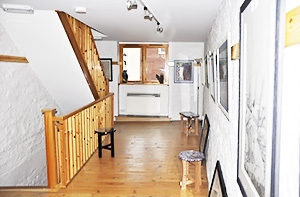 It became Cgallery 3 years ago and has been completely renovated with pine and slate interior. The gallery is situated on 2 floors. 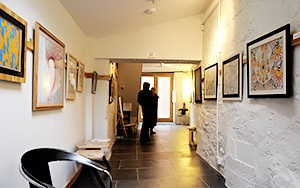 The ground floor of the gallery is accessible to wheelchair users. Opening hours are Wednesday - Saturday, 11am - 4pm. Entry is free of charge. 'Cgallery' and the Cgallery logo are protected under international copyright. Any unauthorised use may result in legal proceedings.